Is Farmette Living the Life for You? Ever dream of leaving city or suburban life to live on a farm of your own? There seem to be quite a bit of folks these days fulfilling their dream of “living off the land.” Which is really no surprise with the massive interest in organic and non-GMO foods, many people are choosing to grow their own. For those who are unfamiliar with the terminology, a “Hobby Farm” or “Farmette” is a small residential farm run by an owner who earns income from a source other than the farm. Generally a farmette owner would have some livestock and outbuildings as well. We’ve been enjoying reading about the process in blogs we’ve discovered online. Later they’ll think about some turkeys perhaps, a dairy cow, and stocking their pond with fish. Another entertaining blog about the farmette lifestyle is called The Farmette Report. This couple left Washington D.C. When they bought a 102 year old house on an old llama farm and hilarity ensues in the form of raccoons, snakes, gophers, deer, stray cats, box elder beetles, etc. They have adorable mini donkeys and every entry is a good read. Even though these aren’t commercial farms, running a farm this size is no easy task, so don’t let the term “Hobby Farm” fool you – this is a lot of hard work and huge investment. Gallen offers many insurance options for horse stables or farmettes because we know how important it is to be covered in case of theft or fire. 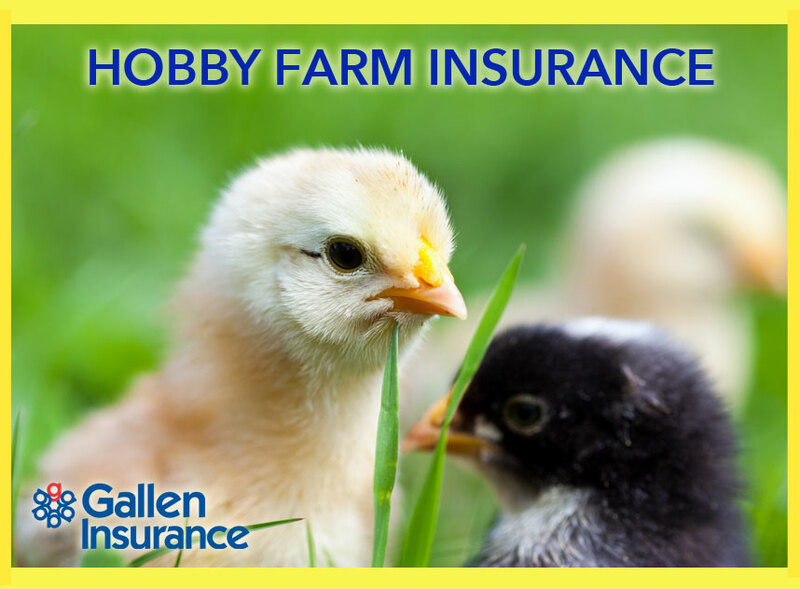 Speak to one of our agents today to see if you qualify or read more on our Horse Stable and Hobby Farm Insurance page.